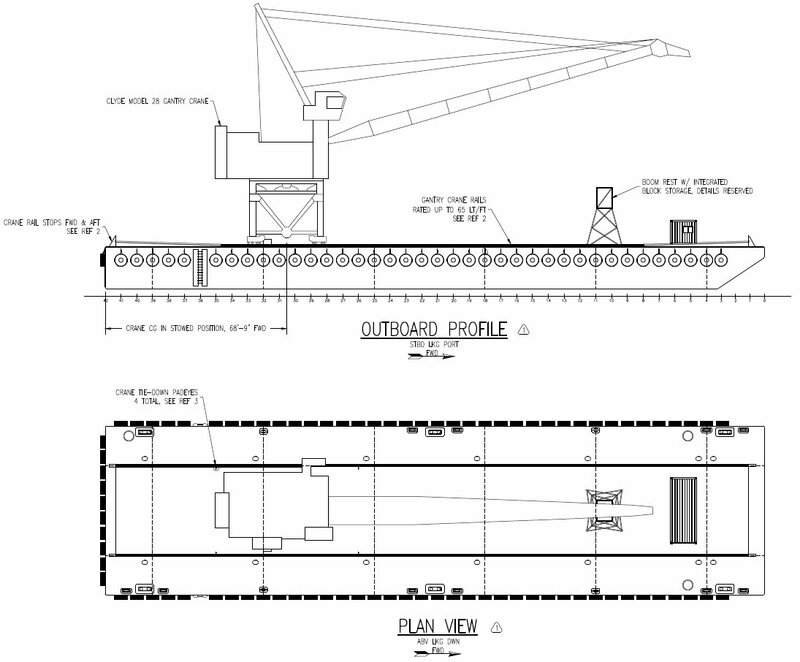 JMS Naval Architects has completed the design of a 250’ by 64’ by 16’ gantry crane barge for Weeks Marine of Cranford, NJ. 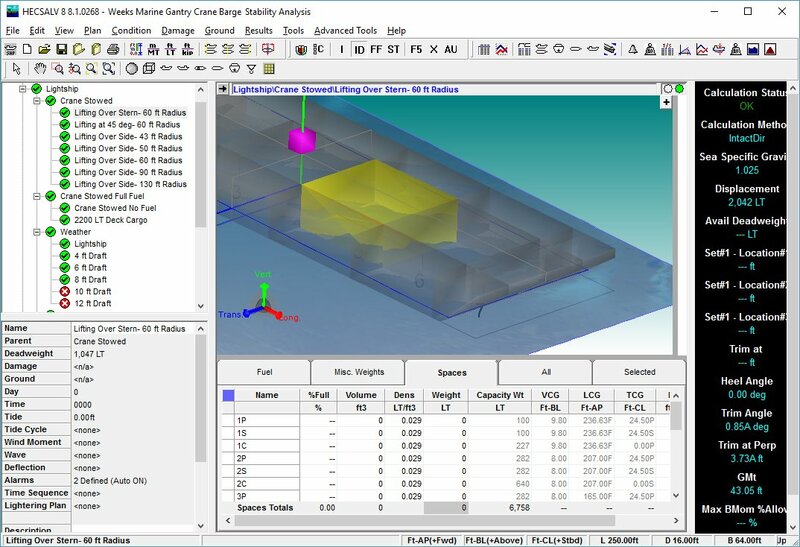 JMS provided complete engineering and design services for the concept through detail design of the new crane barge to support a Clyde Model 28 gantry crane. JMS provided engineering calculations and design drawings meeting the requirements of the ABS Rules for Building and Classing Steel Barges. 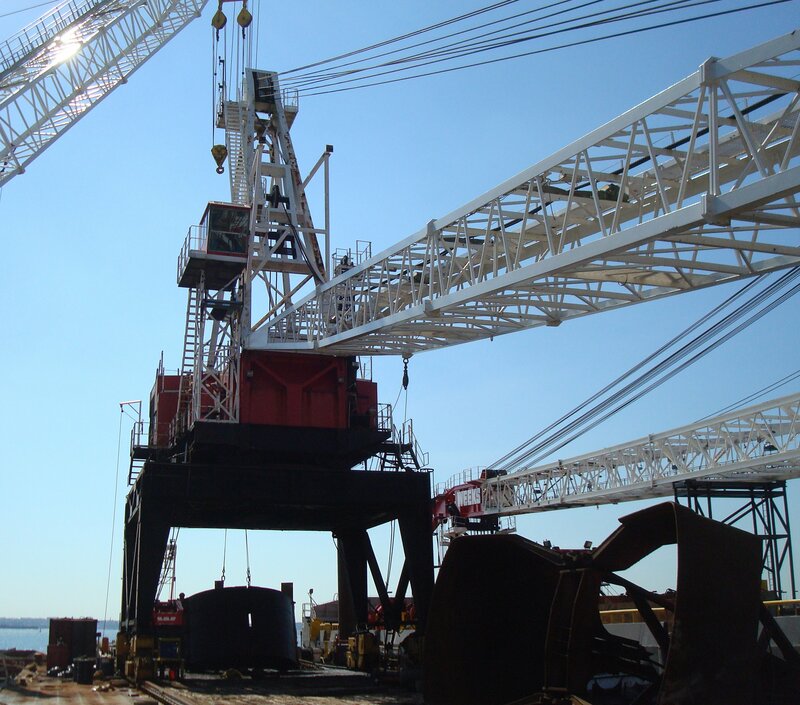 JMS also developed a structural and systems design package including, generator and machinery arrangement, fuel, electrical, and hydraulic system one-lines, towing arrangements, crane rail and tie-down installation, dry docking and anode plan, and a construction details package.